Lamar Hunt Jr. wants to create a “hockey ecosystem” here in the Midwest, adding Topeka to his plans. 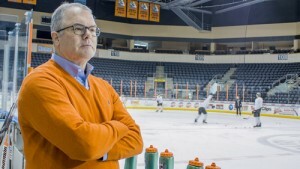 Lamar Hunt Jr. announced Wednesday that his company, Loretto Sports Ventures, purchased the Topeka RoadRunners from Don Stone, who had owned Topeka’s Tier II junior hockey team since 2009. The Kansas City Star, NHL Hockey, and Lamar Hunt Jr. The Kansas City Star, NHL Hockey, and Lamar Hunt Jr.: Sports columnist Sam Mellinger of the Kansas City Star published an insightful article over the weekend on the future of NHL hockey in the greater Kansas City metropolitan area. 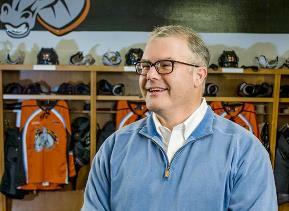 Lamar Hunt Jr.’s Loretto Sports acquires Missouri Mavericks: Loretto Sports Ventures, LLC, a company owned by Lamar Hunt, Jr., has announced that it purchased the Kansas City Mavericks of the East Coast Hockey League and that Lamar Hunt, Jr. had been approved for ownership status by the ECHL Board Of Directors. 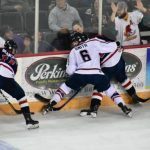 The ECHL is considered the premier AA professional hockey league, and the Mavs play their home games at the Independence Events Center in Independence, Missouri. Anyone watching the Super Bowl in February of 2013 (not the most recent blow-out of the Broncos by the Seahawks) witnessed a critical change in momentum in the direction of the game when the lights went out. Until that point, the Baltimore Ravens had dominated the game but, shortly after halftime, when the lights went out, the 49ers regrouped and came storming back to almost win in the final seconds. In like manner, the momentum in our culture has shifted to life or pro-life. The abortion industry has relied heavily on countering a “pro-life” position with a “pro-choice” position. In the past pro-choice has rung true for many people because everyone likes to have choices. However, the term pro-choice objectively means that one supports the legalized killing of unborn babies. It's a harsh characterization, but it's true. It cannot be rationalized in any other way. Those who support abortion have now shifted to characterizing a pro-life position as one of waging a war on women. But the pro-life position is truly pro-woman – not anti-woman. The pro-abortion movement is struggling to find a new marketing message but somehow they cannot get away from what they are actually advocating – which is to be able to legally kill unborn babies. An unborn baby is a human being with potential, not a potential human being. 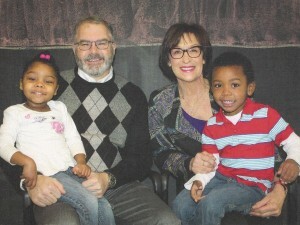 My wife Rita and I get many invitations to help with events in the greater Kansas City community and, of course, we can’t say “yes” to every request. When we do take on an obligation, we try to share the good news about that organization with the hope that others may want to get involved, even if only in a small way. One thing we’ve taken on this spring is to be the Honorary Chairs for Operation Breakthrough’s 16th Annual Fundraiser, “Recipe for Success”, on April 25th, 2014 from 5:30-10:00pm at the Downtown Marriott/Muelbach Tower.